I am struck with amazement when I meet Christians who have accepted the belief of Darwinian evolution, or “molecules to man” development. It seems to be an affront to the words of God, when He stated in Genesis 1:26: “And God said, Let us make man in our image, after our likeness: and let them have dominion over the fish of the sea, and over the fowl of the air, and over the cattle, and over all the earth, and over every creeping thing that creepeth upon the earth” (KJV). I'm not the only one saying that evolution is a religion that must be "accepted" as a belief system. Evolution is spoken of as such by its promoters. Evolution must be “accepted” as shown in this article:http://old.richarddawkins.net/articles/706-public-acceptance-of-evolution. The emphasis on “acceptance” indicates the religious nature of Darwinian evolution. It is indeed a religion that has given rise to another religion – atheism. Despite evidence to the contrary, adherents to the religion of evolution spend hours and hours emotionally defending their faith on various internet forums. This includes both atheists and theistic-evolution adherents. When I have been discussing biblical interpretation with theistic evolutionists, they dogmatically state that Genesis is open to interpretation and then they use evolutionary biology as an exegetical tool rather than going with the plain reading of the text. When I see theistic evolutionists busy on the various forums, I have seen far more evangelizing for the acceptance of evolution than I have seen evangelizing for the gospel. On digging deeper, many theistic-evolution believers also believe in Universalism, choosing to not believe Jesus when He said that He is the only way to the Kingdom: "I am the Way, and the Truth, and the Life; no one comes to the Father, but through Me," (John 14:6). So the universalist believes that we all – including those who claim that EVEN if they believed that God exists, they would never bend a knee to Him – eventually will be sitting around a celestial fire, singing Kumbaya. The Bible-believing Christian can’t say we were not warned by Jesus that this would happen. John 5:45-47 (NKJV): "Do not think that I shall accuse you to the Father; there is [one] who accuses you – Moses, in whom you trust. For if you believed Moses, you would believe Me; for he wrote about Me. But if you do not believe his writings, how will you believe My words?" How indeed? We see those who accept evolution, working every day on the internet, railing against those who take a more biblical view. They join with the atheists in their cause, and other than a belief that Jesus existed, their arguments are the same: the Bible is false, the Bible has contradictions, there was a local flood, there was no exodus, “science” shows us that Genesis is false, snakes don’t talk, Genesis is symbolic. Despite much evidence to the contrary, all these excuses are great indicators of the power of the spiritual deception that is evolution. Today’s guest blogger is Michelle Rose. Michelle came to disbelieve in evolution during an anthropology class in a secular university. She then came to believe in the biblical account of Genesis shortly after becoming a Christian 10 years ago. Michelle is now an administrator in our Creation Moments groups on Facebook. She lives on a farm in Canada. The sun begins to rise and the day is starting to begin, brand new, whole, complete, beautiful, fresh, alive and re-made. The Lord is watching as you stretch your arms and open your eyes. He smiles at you…you are beautiful and amazing to Him…you are precious. The world is new today for you, a brand new start, fresh mercies pouring down around you, covering you like fine oil, and the smell of rich roses. Can you smell the sweet aroma of your Creator? The Lord loves you. A new day greets you as you enter work. The Lord has equipped you to handle each and everything that will come your way today. There will be nothing too great for you to handle, for the Lord has set you as a conqueror on the earth¸ all you have to do is take your position. Look into the eyes of those around you, look at their spirits, delight in the life God has made everywhere you look. Smell the rich coffee; know that you are powerful in God for pulling down the strongholds of the day. Know your authority over everything that hovers over the word of God. Use the truth of the Lord’s word like a sharp samurai sword. 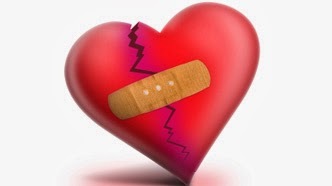 When words fill your mind that bring sorrow, pain, anxiety, depression, fear, anger, or torment of any kind, take the truth of the Lord’s word that is in your heart and cut those things down from their lofty place, for those are lies of the enemy, sent to destroy you, and you do not have to accept their blows. Block them and stand fast. Force your mind to the beauty of the sky and the hope of Jesus Christ in you…that all things are possible through Him. That the eye of the Lord is on the righteous and his ear is open to their cry. Cry out to him. Develop the spirit of optimism simply by clinging to His truth. Any obstacle that seems to come your way, face it, do not run, and recognize that the Lord has placed might in you…that He has placed everything under your feet. When the phone is ringing or co-workers are difficult to get along with…put on a different pair of glasses, and look from a different perspective at your situation. 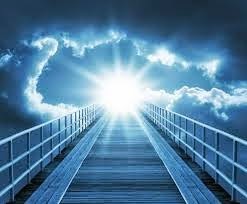 Realize that it is temporary and that there are nuggets hidden all over the place like a exciting egg hunt, ready for you to find them if you just look around you and take your mind off of the satanic distractions. Develop the spirit of optimism simply by remembering that the Lord is good…remembering his mercies endure forever. In the past weeks, I've been going over some of the key words in our covenant relationship with God. This is a great explanation of grace and the first one I could readily remember. However, it is a bit churchy sounding for many people. Then there is the wonderful explanation: Unmerited favor. I love this simple explanation that encapsulates this amazing concept in two words. However, trying to explain grace seemed harder than I had imagined. They didn’t grasp the whole acrostic idea. And while unmerited favor seems simple enough, even the members who remember the two-word definition could not explain what it meant. Therefore, we worked our way into another definition that they understood and fully appreciated. Grace is receiving a gift we don’t deserve. Receiving a gift we don’t deserve is not as catchy at the acrostic or as short as “unmerited favor” but our members understand it and have grasped its meaning. According to evolution, some explanation for the sun and planets must be found that does not include God as the Creator. Today, evolutionists generally believe that the sun and the other planets of the solar system are related to each other. Artist’s conception of the early Solar System (the way NASA imagines it) is one of the most popular theories and that theory is that the sun and the planets of the solar system each formed when a single cloud of dust and gases were drawn together, by gravity. As this material was drawn together, it began spinning faster and faster, like a giant skater pulling his arms toward his body. According to this theory, the amount of this angular momentum – which we will simply call “spin” – among the planets must equal the amount of “spin” the sun has. As we have gradually learned more about the solar system, we have been able to compute this energy more accurately. Figuring in the mass of the planets, their orbits and the mass and rotation of the sun, scientists have concluded that 98 percent of the solar system’s “spin” is in the planets. Only two percent, not the 50 percent expected, is in the sun. So modern science has confirmed – probably as much as it can in this case – that the Earth was created independently from the sun. Of course, we know that Scripture clearly says that the Earth was created three days before the sun. Here, a scientific mystery for evolution is easily explained when we turn to the Bible! For God so greatly loved and dearly prized the world that He gave up His only begotten Son, so that whoever believes in (trusts in, clings to, relies on) Him shall not perish but have eternal life. Article created by a post from Author Richard Kent. Richard Kent has a fantastic website entitled "Free Christian Teaching"
Since atheists do not want to be accountable to God they must come up with something to try to show that God does not exist. They want to live their life without God. Psalms 14:1 says, “The fool has said in his heart, there is no God.” He is a fool, because of his unbelief he will be eternally punished in the fires of Hell. “And even as they did not like to retain God in their knowledge, God gave them over to a reprobate mind” (Romans 1:28). To try to support this bias, atheists have come up with the theory of organic evolution. This theory does not even qualify as being a theory, but it is only a hypothesis, which is based on biased assumptions and guesses. Evolutionists vainly try to explain how all of the millions of different species of plant and animal life accidentally came into existence. Evolution teaches that one day nothing decided to become something. How absurd can you get? This is nonsense. This is not science but pseudo-science. Evolutionists have nothing to support their theory, except false claims. Since they have nothing to support their theories, scientists who deny God must remain vague in their theories. Many different expressions are used such as: “could have come”, “might have been”, “maybe”, “we can imagine”, and so on. The theory of evolution is constantly changing as it is repeatedly proven to be fallacious. Since evolutionists have been unsuccessful in proving their theory, they now try to claim it to be a scientific fact. This is intellectual dishonesty. Even though they have tried hard, evolutionists have not been able to produce one speck of proof. They now try to say that evolution is a foregone conclusion. This is only wishful thinking, but where is the proof. It is not there or they would have already produced it. Until the theory of evolution can be demonstrated and proven, it is dishonest to contend that evolution is a proven scientific fact. Evolution is a lie that is taught as a proven fact. It is perpetuated over and over. Evolution demands that there is no God. Since they believe there is no God, it doesn’t bother their conscience to lie. Evolution is fiction and a product of man’s evil imagination in his attempt to get rid of God. Evolution is a scientific fairy tale. Evolution contradicts proven scientific facts. It is about as unscientific as a person can get. Evolution is both anti-Biblical and unscientific. For evolution to even be possible it requires vast amounts of time. The theory is constantly evolving and ever changing as it is repeatedly proven wrong. Back in the 1950’s evolutionists said the earth was 10 million years old. A few years later they changed it to 15 million years. 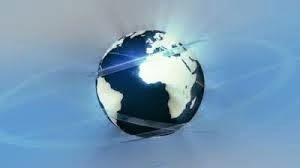 As time has gone by they have continually increased it to where today they say the earth is 4.6 billion years old. How did the earth become more than 4.5 billion years older in a period of 50 years? This is just one example of the ever-changing theory of evolution. Is the earth 10 million years old or 4.6 billion years old? Or is it as God’s word indicates a little more than 6 thousand years old? God should know since He created everything. The only alternative to evolution is the creation by God. There is not one proven scientific truth that contradicts the literal Genesis account of creation or any of the rest of the Bible. True proven science is in harmony with the Bible. There is no contradiction between the Bible and any proven scientific fact of science. Evolutionists talk about trying to find the “missing links”. But how can you find the missing links when the whole chain is missing? Evolutionists have never been able to present any scientific evidence to support transitions from one kind to another, although you can’t say they haven’t tried. Evolutionists try to claim their position is supported by scientific discoveries, but the opposite is true. There is no scientific discovery that proves evolution. The scientific discoveries that have been made have all disproved evolution. The religion of atheism is being taught in our public schools in the form of evolution. Text books, TV programs, magazine articles, etc. are constantly being produced that claim evolution is a foregone conclusion. Almost daily you hear on TV such things as “245 million years ago” a certain animal roamed the earth. These fantastic claims, being presented as fact, are not only unproven but are false. When a falsehood is told enough times, then people tend to believe it to be the truth. Evolution is an assumed theory designed to support the bias of atheists. Evolution is not science, but is “science falsely so called”. Paul tells Timothy, “Avoiding profane and vain babblings and oppositions of science falsely so called” (1 Timothy 6:20 KJV). It is a mistake to classify evolution as science. Evolution is the religion of atheists. Man with all of his technology has not been able to create any type of life even though he has tried. He cannot create life or revive it when it dies. So how can we be expected to believe that life just accidentally happened on it’s own? How did that one cell create itself and then create another cell? How did intelligence with its power to believe, learn, reason, speak, plan, design, and love accidentally happen? Evolution would have you believe that both man and woman evolved into existence at the same time. And how did the male and female of each animal species evolve into existence at the same time? Just how did all this just happen? Oh, they can come up with some silly ways. Evolution is as stupid and unscientific as a person can get. Evolution contradicts the scientific law of biogenesis, which states that life comes from life. Evolution has no explanation as to how life began other than it just accidentally happened. Evolution also contradicts the second law of thermodynamics, which stipulates that all systems in the real world tend to go "downhill," as it were, toward disorganization and decreased complexity. So how could everything in this world start from nothing and increase in complexity? The evolutionist will not have any excuse when he stands before the Lord on the Day of Judgment. “For since the creation of the world His invisible attributes are clearly seen, being understood by the things that are made, even His eternal power and Godhead, so that they are without excuse” (Romans 1:20). God has given man overwhelming evidence, both in the Bible and in the physical world, that He created all things and is in control of all things. Have you found yourself struggling to love yourself? Have you found yourself struggling to love yourself? Are you having difficulty putting past mistakes behind, enjoying life and moving forward with the future? You are not alone. Many believers have been in this place, and with Christ, they have found a way to overcome some of the most frustrating times of their journey. You can get through this season of your life! You can stand in victory over your past! Romans 8:18 (TLB) declares, “Yet what we suffer now is nothing compared to the glory he will give us later.” When you made the commitment to believe God and to follow Christ, you entered into this promise. 1) That you have been forgiven. When you repented of your sins and accepted Christ into your heart - you received God’s forgiveness then and there. The Lord wants you to know that Christ took away all the guilt, shame, unforgiveness, torment and so much more when He embraced the cross. Your primary role in the midst of your brokenness and pain is to surrender to his sacrificial love. Romans 8:31-39 declares that all of those who trust him are conquerors over everything in their lives that come to oppress them; and he makes another promise- that nothing can separate us from His love (John 3:16). It may not look like it right now in this moment, but your trust in God places you in the perfect posture for healing. Your faith, even the size of a mustard seed, is all you need. Your challenge today is simply to accept the truth of His love for you. He will do the rest. For forty years they were considered one of the archaeological finds of the century: A fragment of jaw and a part of a skull that could prove man evolved from the apes. They were the bones of Eoanthropus dawsoni found near Piltdown Common in Sussex. The bones of the "Missing Link." Since 1953 the name "Piltdown" hasn't been associated with great scientific discovery, but great scientific fraud. It was in that year that a group of scientists, lead by Kenneth Page Oakley, attempted to use the new method of fluorine testing to get a more exact date on the bones. What the test showed surprised them: The jaw was modern and the skull only six hundred years old. Additional analysis soon confirmed the fluorine tests. The jaw was really that of an orangutan. It had been filed down and parts that might have suggested it's simian origin were broken off. Both pieces had been treated to suggest great age. Piltdown was proclaimed genuine by several of the most brilliant British scientists of the day: Arthur Smith Woodward, Arthur Keith and Grafton Elliot Smith. How did these faked fragments of bone fool the best scientific minds of the time? Perhaps the desire to be part of a great discovery blinded those charged with authenticating it. Many English scientists felt left out by discoveries on the continent. Neanderthal had been found in Germany in 1856, and Cro-Magnon in France in 1868. Perhaps national pride had kept the researchers from noticing the scratch marks made by the filing of the jaw and teeth. Items that were apparent later on to investigators after Oakley exposed the hoax. Even as early as 1914, though, there were those that doubted the fossils. William King Gregory wrote, "It has been suspected by some that geologically [the specimens] are not old at all; that they may even represent a deliberate hoax..."
Who perpetrated the hoax? Many historians lay their bets on Charles Dawson, the amateur geologist that supposedly discovered the bones in a gravel pit. 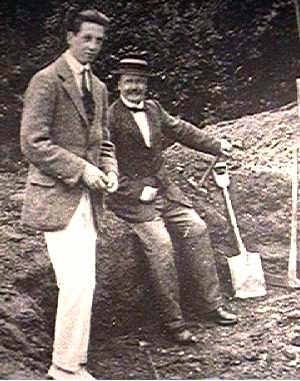 Others, though, lay the blame at the feet of people as diverse as a young Jesuit priest, named Teilhard de Chardin, who assisted in the dig, to the author Sir Arthur Conan Doyle, who lived in the area. Dawson was an English solicitor who sought and collected fossils. Even before the find in Piltdown he was known as the "Wizard of Sussex" because of his many different and unusual finds. These included a prehistoric reptile, a mammal and a plant. Each boar a scientific name with dawsoni in it. Piltdown was his fourth: Eoanthropus dawsoni, "Dawson's Dawn Man," in Latin. If Dawson had lived longer this final discovery might have earned him a Knighthood. If the hoaxer was Dawson it looks like pride might have been his motive. Probably the most telling evidence against Dawson is that, though he did not personally find all the Piltdown specimens, he appears to be the only figure around when each of the artifacts were discovered. Also, after his death in 1916, no more objects related to Piltdown were ever found despite the work of Arthur Woodward, a geologist at the British Museum, who continued to search Piltdown for fossils for many years after Dawson passed away. There is some evidence that Martin A. C. Hinton, later the keeper of the zoology collection at the British Museum, may have prepared and planted the bones. In 1975 a steamer trunk, containing a set of bones stained the same way the piltdown fragments were, was found in the loft at the museum. The trunk is believed to have been owned by Hinton, and bears his initials. Two paleontologists at the museum, Brain Gardiner and Andrew Currant suggest that Hinton came up with the hoax to embarrass Woodward, who had refused Hinton a salaried job with the Museum. If this is true, then the hoax probably went alot further that Hinton had expected. Dawson also, according to a friend, Samuel Woodhead, had an interest in stained bones and had "asked my father how one would treat bones to make them look older than they were..." The Piltdown bones had been stained with potassium bichromate. We may never know for sure who perpetrated Piltdown. Dawson? Hinton? Or did they work together? There was never any confession and Dawson, as well as Hinton, are long gone now. Website Editors Note: God LOVES you (John 3:16-below). You really were created in His image and are precious in His sight. You did NOT come from a monkey, or anything like that. Believe the Gospel, give your heart to the Lord Jesus Christ and you will be saved and receive eternal life. "For God so loved the world that He gave His only begotten Son so that whosoever believes in Him should not perish but have eternal life"